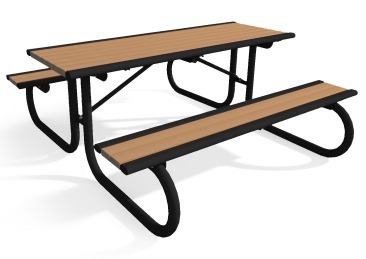 The Richmond Bench with back features 3″ square tubing legs, and is available in either recycled plastic planks of horizontal powder-coat metal slats, with or without arm rests. 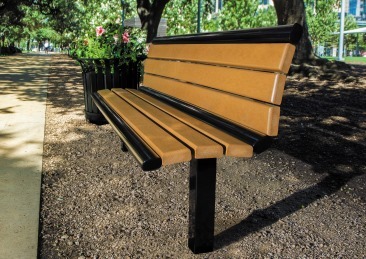 The Richmond Bench without back is available in either recycled plastic planks or horizontal powder-coat metal slats, with or without arm rests. 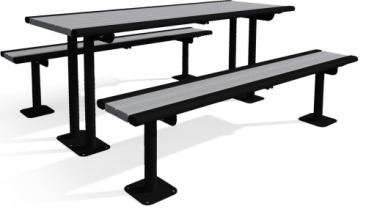 The Richmond Table features 2-3/8″ O.D. frame. Available in recycled plastic planks. 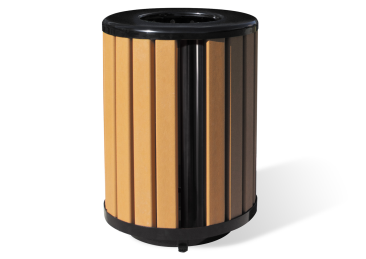 The Richmond Trash Receptacle includes a 32 gallon liner and flat top lid. 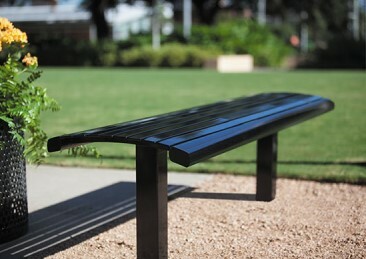 Available in recycled plastic planks.